China is emerging as a new superpower in science and technology, reflected in the success of its spacecraft and high-velocity Maglev trains. While many seek to understand the rise of China as a technologically-based power, the Cultural Revolution of the 1960s may seem an unlikely era to explore for these insights. 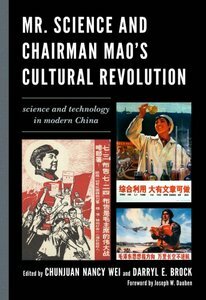 Despite the widespread verdict of the Great Proletarian Cultural Revolution as an unmitigated disaster for China, a number of recent scholars have called for re-examining Maoist science—both in China and in the West. At one time Western observers found much to admire in Chairman Mao's mass science, his egalitarian effort to take science out of the ivory tower and place it in the hands of the disenfranchised peasant, the loyal worker, and the patriot soldier. 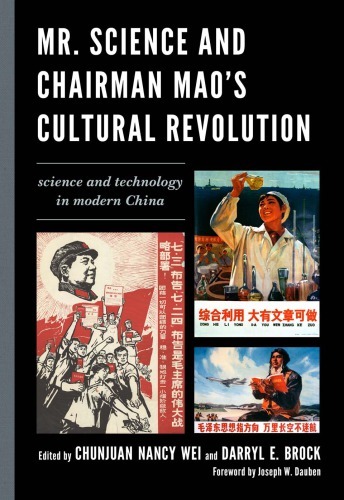 Chunjuan Nancy Wei and Darryl E. Brock have assembled a rich mix of talents and topics related to the fortunes and misfortunes of science, technology, and medicine in modern China, while tracing its roots to China's other great student revolution—the May Fourth Movement. Historians of science, political scientists, mathematicians, and others analyze how Maoist science served modern China in nationalism, socialism, and nation-building—and also where it failed the nation and the Chinese people. If the Cultural Revolution contributed to China's emerging space program and catalyzed modern malaria treatments based on Traditional Chinese Medicine, it also provided the origins of a science talent gap and the milieu from which a one-child policy would arise. Given the fundamental importance of China today, and of East Asia generally, it is imperative to have a better understanding of its most recent scientific history, but especially that history in a period of crisis and how that crisis was resolved. What is at issue here is not only the specific domain of the history of science, but the social and scientific policies of China generally as they developed and were applied prior to, during, and after the Cultural Revolution.